Flotron’s Small Foot Print (SFP) 800 series Rotation Fixtures are a higher capacity, more compact version of the 800 series where floor space is a premium. 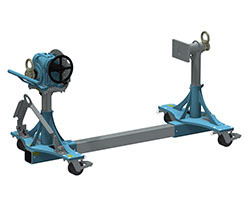 The SFP-800 series includes additional features and options; lift points above the CG capable of lifting the Flotron (with the payload integrated), one inch of axial float on the non-gearbox side trunnion to ease payload integration, flat leg design to lower the rotation centerline height without sacrificing available payload swing radius, lighter weight to ease maneuverability, elimination of single failure points for launch site compatibility, PTFE composite sleeve bushings on the non-gearbox-side trunnion to eliminate exposed grease in this area, as well as an option for a cordless hand drill to rotate the gearbox. 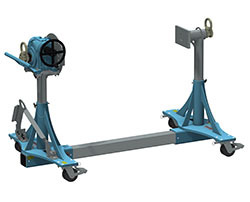 This series is offered in three standard single beam configurations with adjustable riser heights. 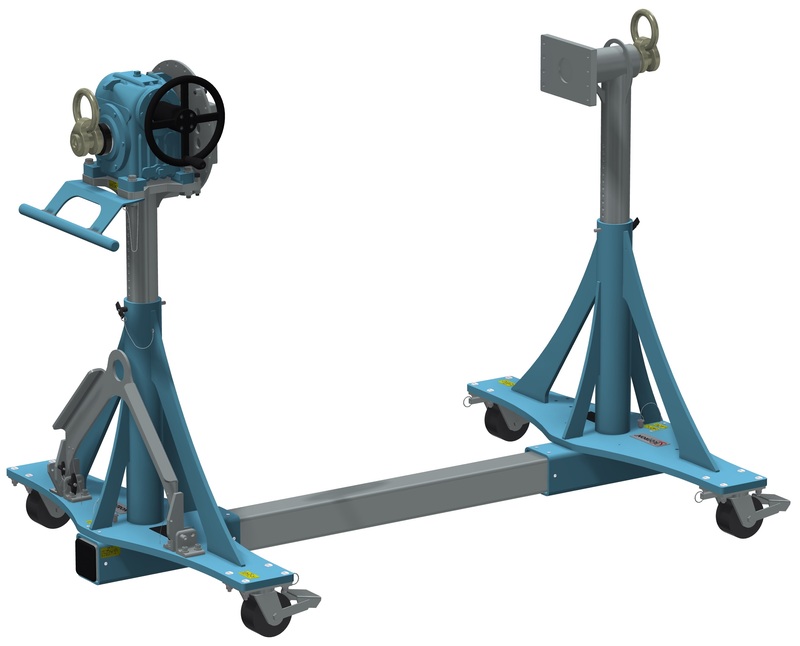 They are supplied with heavy-duty, hollow shaft, stairstep resistant gearboxes to handle large, off-center loads which may occur during assembly of the mounted payload. See below for comparative data on the different SFP-800 series models and click on any image for additional information.